The BSP has required online banking providers to introduce the new services by end-November! The Bangko Sentral ng Pilipinas (BSP) has required all banks and non-banking financial institutions (NBFIs) that offer online banking services to make interbank electronic fund transfers (EFTs) available to regular depositors by end-November. The move greatly expands the power and usefulness of most depositors’ online banking accounts. At the moment, most online banking clients use the service to check balances, pay bills, order checks, or transfer funds within the same bank. Sending money to—or receiving funds from—other banks’ online clients is an option that’s not widely available. But that will change very soon. In Memorandum M-2018-026 issued on September 4, the BSP said that these financial institutions must make available interbank EFT services to regular depositors by signing up with either or both newly created automated clearing houses. Those that fail to do so by November 30 will be subject to sanctions from the BSP. 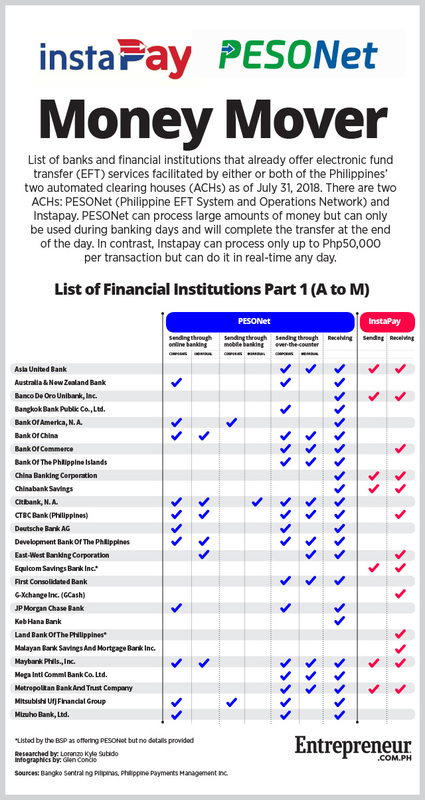 There are two BSP-accredited automated clearing houses (ACHs) that enable and process EFTs: PESONet and InstaPay. 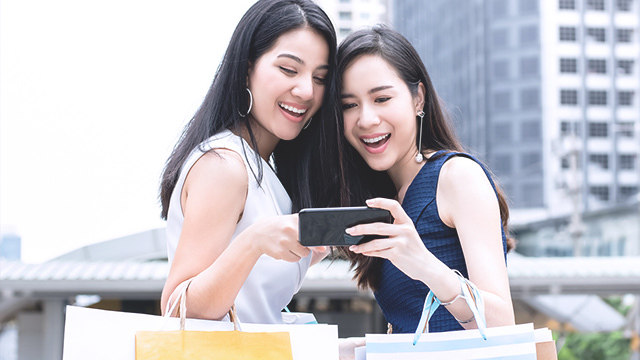 Launched in November 2017, PESONet, which stands for Philippine EFT System and Operations Network, processes EFTs in bulk, enabling both individuals and businesses to send and receive large amounts of money across banks digitally. Because it groups transactions and processes them in batches, PESONet can only be used during banking days and will complete the transfer by the end of the day. 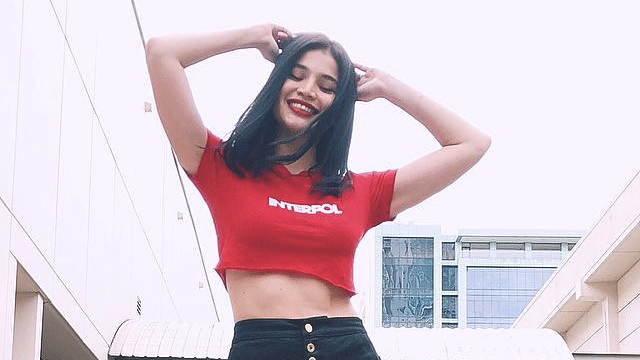 In contrast, InstaPay, which was launched in April 2018, enables interbank EFTs in real time. Clients of Instapay participating institutions can avail of the service at any time and any day, including weekends. However, InstaPay can only process a maximum of P50,000 per transaction, but there is no limit as to how many transactions a user can make each day. While fees for using the services vary per bank, only the sender is charged for transferring funds using PESONet or InstaPay. Unlike fund transfers done through money transfer agents, the recipient will always get the full amount being sent. 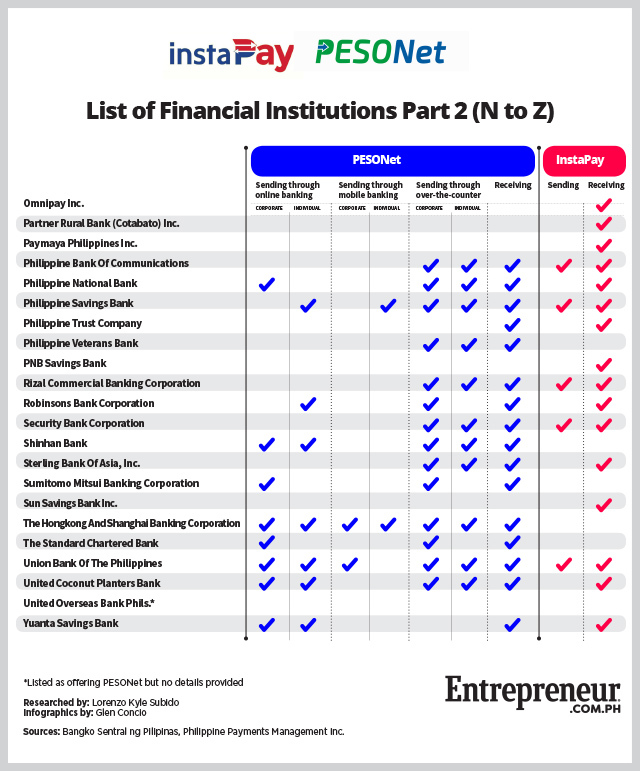 As of end-July, (see above infographics) 43 banks and NBFIs already offer PESONet-enabled services in some form, according to Philippine Payments Management Inc., a company formed by financial institutions to oversee the two ACHs. Thirty institutions are already offering InstaPay services as well. But most of these institutions can only receive funds through either ACH, with only some offering both sending and receiving. Nevertheless, these participating institutions have already processed over 3.4 million transactions worth P520.6 billion via PESONet and over 127,000 transactions worth P1.5 billion via InstaPay as of July 31. The rollout of both PESONet and InstaPay is part of the BSP’s National Retail Payments System (NRPS) project, which aims to make 20 percent of all transactions in the country electronic by 2020—a big jump from only one percent in 2015.